'Stand By Me': A Love Letter To Childhood Innocence Rob Reiner's quintessential coming-of-age film marks its 25th anniversary this year. Actor Wil Wheaton, who played the lead character Gordie Lachance, talks about childhood and friendships — both on-screen and off. 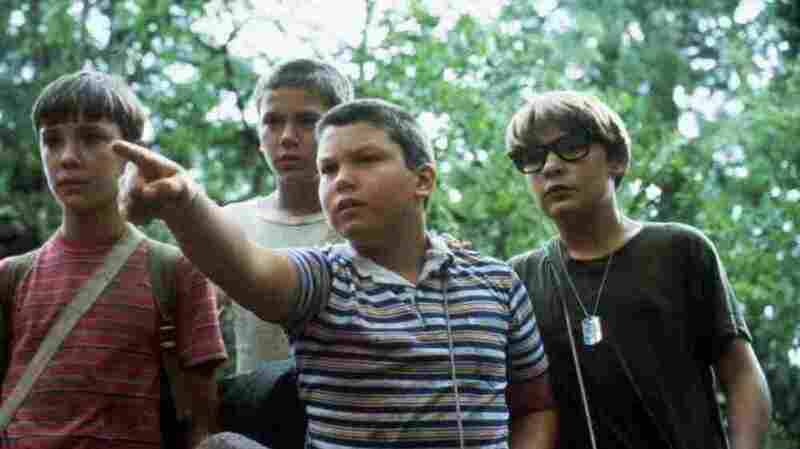 Wil Wheaton (left), River Phoenix, Jerry O'Connell and Corey Feldman search for the body of a local teenager in Stand by Me. The film, directed by Rob Reiner, celebrates its 25th anniversary this year. The quintessential coming-of-age film Stand by Me celebrates its 25th anniversary this year. The movie tells the story of four 12-year-old boys in a small town in Oregon and the Labor Day weekend that changed their lives forever. The film was a hit almost immediately after it was released in the summer of 1986 and has gone on to become a beloved classic. 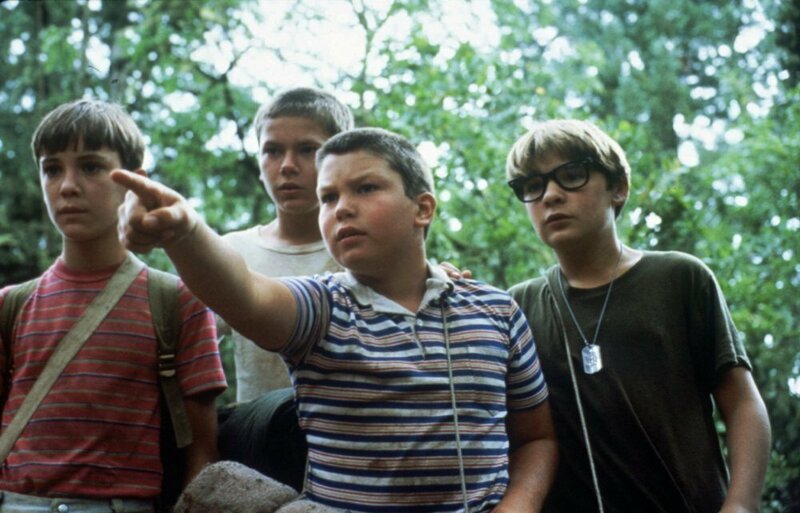 Writer and actor Wil Wheaton, who played Gordie Lachance, Stand by Me's star, tells weekends on All Things Considered guest host David Greene that he credits the cast and director Rob Reiner for the film's success. "I felt from the very first time we all got together up in Oregon that we were making something really special," Wheaton says. Corey Feldman, Jerry O'Connell and River Phoenix played Gordie's buddies. The actors, who were all the same age, bonded during filming, a chemistry that is apparent in their friendships onscreen. "Rob Reiner found four young boys who basically were the characters we played," Wheaton says. Wheaton grew especially close to Phoenix, who died of a drug overdose at the age of 23. Even though they were the same age, Wheaton describes Phoenix as a kind of father figure, as well as "one of the kindest people I'd ever been around." "We stayed friends after we worked on the film, and I went and visited his family," Wheaton says. "I guess around the time that I was turning maybe 15, we just drifted apart, and I always felt really sad about that." Even though Stand by Me deals with the adult themes of abuse, dysfunctional families and death, Wheaton sees the film as a love letter to childhood innocence. "Stand by Me, it sort of talks about this time in your life that feels incredibly complicated, but as you get older you realize it's actually incredibly simple," Wheaton says. "And we get the tremendous gift of not knowing that it's never going to be like that again for the rest of our lives, so it's just pure and it's uncomplicated. And it's a time that stays with us even as we become adults."